Bertha Tobias was the sixth child of Jacob Tobias and Malchen Benjamin. She was born on October 29, 1853 in Oberdreis. She lived in Gelsenkirchen by the time she married Asser Wolf of Silvolde, Gelderland in October 1886. Asser was the son of Liefmann Wolf and Reintje Bamberg. The Wolf family originates from Meckenheim, Germany. Asser’s grandfather Joseph Leib Wolff came to the Netherlands in 1821. Bertha and Asser had four children. Their daughter Amalie Wolf was born on July 17, 1887 in Silvolde. She married Joseph Isaac Mestriz. He was born in Amsterdam on May 25, 1895. They ran a clothing shop in Terborg, the neighboring village of Silvolde. Their son Bernard “Bennie” was born on August 8, 1925. Their daughter Bertha was born on July 1, 1927, but died at only three days old. Amalie’s sister Rosalia was born on July 25, 1890. She married the widower Isaac Hammelburg of Nijkerk, Gelderland. She died on March 12, 1926 in Amsterdam and had no children. Jacob Wolf was the third child of Bertha and Asser. He was born on December 25, 1892 in Silvolde and married Henriette de Winter of Gendringen, Gelderland. She was born on April 2, 1898. They had two sons. Alfred was born on September 24, 1924 and Nico was born on October 29, 1925. The fourth child, Leo Wolf, was born on August 5, 1894 and he died a year later on August 11, 1895. Bertha’s family also raised the daughter of her niece Amalie. She was the daughter of Bertha’s brother Hermann Tobias from Bingen on Rhine. Amalie came to Silvolde in July 1899 and her daughter Toni was born on December 22, 1899. Amalie went back to Germany in January. 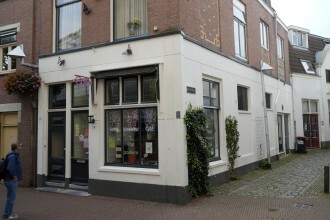 Toni married Abraham Cohen from Arnhem and they ran a coffee house on Wielakker Straat 36. They had 9 children: Emanuel (May 20, 1921), Bertha (June 5, 1924), Philip (April 3, 1926), Marianne Rosalie (September 17, 1927), Asser (August 21, 1929), Emma (October 1931 — October 1932), Ida (November 23, 1932), Jacob (December 4, 1933) and Karel (May 18, 1935). 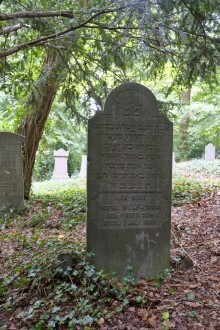 Bertha Tobias Wolf passed away in Silvolde on August 7, 1927 and is buried at the old Jewish cemetery of Terborg. 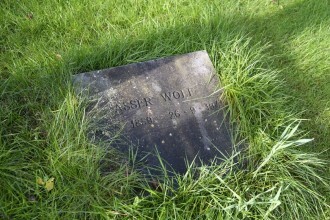 Her husband Asser died on September 26, 1941 and is buried in the new cemetery. Asser didn’t witness the first wave of arrests anymore when his son Jacob and his son-in-law Jospeh Mestriz were taken to Mauthausen in October 1941. Only two weeks later the women received letters from Austria telling them that their husbands died from any alleged diseases. Joseph Mestriz perished on October 14 and Jacob Wolf on October 25. The women knew it was time to go into hiding. Luckily they knew some helpful neighbors who were willing to take the risk. Amalie Mestriz and Henriette Wolf found refuge at the Saal­mink farm in Silvolde, while Bennie Mestriz and Alfred Wolf were taken by the Te Linderts of Sinderen. We don’t know where Nico Wolf was at the time and what happened to him, but we know that he emigrated to Melbourne after the war. On December 12, 1943, a police raid took place because the daughter of Mr. Saalmink was in need of living space and therefore betrayed the hidden Jews. Amalie, Henriette and others were arrested at the Saalmink farm immedtiately. In the early morning around 2 a.m., the Gestapo came to the Te Lindert farm. Alfred and an elder couple were hidden under the floor, while Bennie and another boy named Piet ran to a surrogate hiding place above the stables. The police and Gestapo knew that they were searching for five Jews and tore the whole place to pieces. After a while they found Alfred and the couple, but when they discovered another empty hideout in the stable they thought that Bennie and Piet escaped. They began to beat up Jan Te Lindert in order to make him reveal the hiding place of the boys. They both could hear him screaming out in pain right beside their hideout under the hay, but Jan resisted and they were not found. Jan Te Lindert was taken to a prison camp for several months where he was severely tortured. He came back home on July 26, 1944. Amalie, Henriette and other women were taken to Auschwitz and perished on January 28, 1944. Alfred Wolf was able to escape from the prison in Arnhem, but was picked up soon after. We don’t know where and when he was deported but he perished on January 21, 1945 at an unkown place. Bennie and Piet changed their hiding places several times after the raid. Both of them survived. Bennie went to Amsterdam after the end of the war and became an accountant. In 1950 he joined a Jeshiva in Aix-en-Provence for two years and after that emigrated to Jerusalem. He stayed in contact with the Te Linderts family and often visited Silvolde and the Jewish cemetery of Terborg. Bennie died in 1999 and left behind his wife Ruth and eleven children. The Te Linderts were granted the Yad Vashem Award “Righteous Among the Nations” posthumously in May 2008. The family of Toni and Abraham Cohen was killed in Auschwitz on January 21, 1943, except their oldest son Emanuel, who died at an unkown place on March 31, 1944. 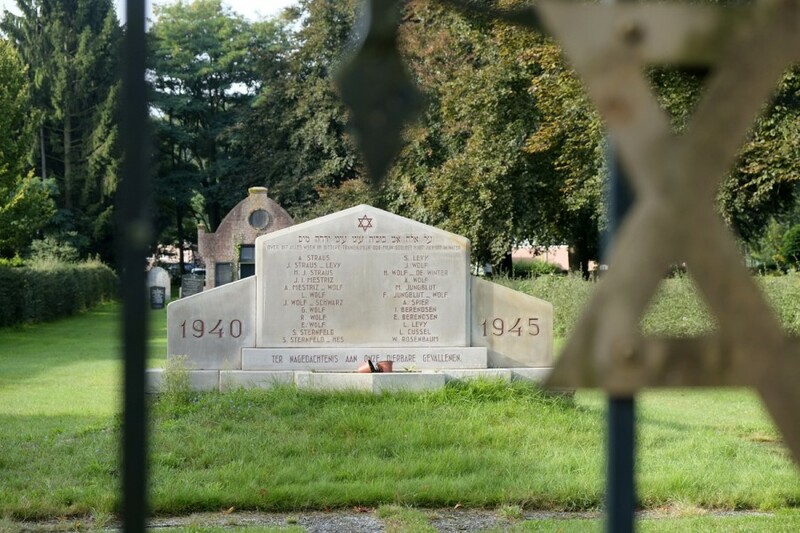 Memorial for the Jewish victims of the Nazi terror at the cemetery of Terborg.